Well, this is a surprise. 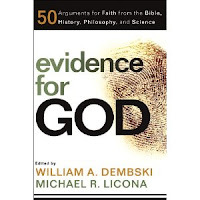 At last we have something of substance in Dembski & Licona's Evidence for God — shame it's the very last chapter in the section titled The Question of Science. In "The Vise Strategy — Squeezing the Truth out of Darwinists", William Dembski sets out a list of questions to ask those who are skeptical of intelligent design. It could be done as a flow chart, significantly not one with a single starting point, like Darwin's Tree of Life, but with a number of disparate roots. Initially Dembski's questions are all about establishing why intelligent design should be considered science. Is it fair to say that you regard intelligent design as not a part of science? Would you agree that proponents of intelligent design who characterize it as a "scientific discipline" or as a "scientific theory" are mistaken? Would you characterize intelligent design as a "pseudoscience"? Would it be fair to say that, in your view, what makes intelligent design a pseudoscience is that it is religion masquerading as science? If ID is something other than science, what exactly is it? Do you think that simply by being a scientist, you are qualified to assess whether something is or is not properly a part of science? Would you agree that in the history of science, ideas that started out as "pseudoscientific" may eventually become properly scientific, for example, the transformation of alchemy into chemistry? We can see where this is going, but it's predicated on false assumptions. For instance, take that last question, suggesting that ID could become science in the same way that alchemy became chemistry. The problem for Dembski is that alchemy did not become chemistry. Alchemy is still alchemy, even today, and chemistry is something else. Also note the disingenuous assertion in asking whether the "Darwinist" has read any history or philosophy of science. This is akin to criticisms of the likes of Richard Dawkins because they don't know any "sophisticated theology". Let's consider one very commonly accepted criterion for what's in and what's outside of science, namely, testability. Would you say that testability is a criterion for demarcating science? In other words, if a claim isn't testable, then it's not scientific? Would you agree with this? Let's stay with testability for a bit. You've agreed that if something is not testable, then it does not properly belong to science. Is that right? Have you heard of the term "methodological materialism" (also sometimes called "methodological naturalism")? Do you regard methodological materialism as a regulative principle for science? In other words, do you believe that science should be limited to offering only materialistic explanations of natural phenomena? 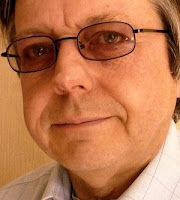 Could you explain the scientific status of methodological materialism? For instance, you stated that testability is a criterion for true science. Is there any scientific experiment that tests methodological materialism? Can you describe such an experiment? Are there theoretical reasons from science for accepting methodological materialism? For instance, we know on the basis of the second law of thermodynamics that the search for perpetual motion machines cannot succeed. Are there any theoretical reasons for thinking that scientific inquiries that veer outside the strictures of methodological materialism cannot succeed? Can you think of any such reasons? A compelling reason for holding to methodological materialism would be if it could be demonstrated conclusively that all natural phenomena invariably submit to materialistic explanations. Is there any such demonstration? But wouldn't you agree that there are many natural phenomena for which we haven't a clue how they can be accounted for in terms of materialistic explanation? Take the origin of life? Isn't the origin of life a wide open problem for biology, one which gives no indication of submitting to materialistic explanation. To my mind, methodological naturalism is the only effective method of doing science. Anything that attempts to stray outside methodological naturalism may be interesting, even fruitful in terms of philosophy, but it isn't science. Whether or not you hold to metaphysical naturalism (and I understand that many scientists don't, or at least consider it an open question), the process of science must assume methodological naturalism to provide meaningful results. If unexplained stages in any set of causal relationships can be replaced with "and then a miracle happened", this doesn't actually pull any explanatory weight. If there are indeed "natural phenomena for which we haven't a clue how they can be accounted for in terms of materialistic explanation" then what we have is something that's unexplained. Any supposed "explanation" outside of methodological naturalism isn't an explanation at all. But if methodological materialism's authority as a rule for science derives from its success in guiding scientific inquiry, wouldn't it be safe to say that it is merely a working hypothesis for science? And as a working hypothesis, aren't scientists free to discard it when they find that it "no longer works"? Dembski is claiming that because methodological naturalism hasn't solved every single known scientific problem — that because there are still gaps in scientific knowledge — therefore he is justified in rejecting it. This is plainly nonsense. Then comes some effort to show that ID is not creationism. It's futile stuff, because though the identity of the designer is often obfuscated by ID proponents, we know where they are going with it, and despite Dembski's insistence that there are atheists who consider ID a valid theory, we also know that the vast majority of ID proponents are theists (including, of course, Dembski himself). Let's return to the issue of testability in science? Do you agree that for a proposition to be scientific it must be testable? Good. Okay, so we're agreed that science is about testable propositions and that testability of these propositions can come in degrees. Now, let me ask you this: Is testability symmetric? In other words, if a proposition is testable, is its negation also testable? For instance, consider the proposition "it's raining outside." The negation of that proposition is the proposition "it's not the case that it's raining outside" (typically abbreviated "it's not raining outside" — logicians form the negation of a proposition by putting "it's not the case that …" in front of a proposition). Given that the proposition "it's raining outside" is testable, is it also the case that the negation of that proposition is testable? This question of negation is no more than wordplay. People often claim, "You can't prove a negative," but that's a self-refuting statement (because it is itself a negative statement), so if it's true it's also false. People often claim that you can't prove God doesn't exist, but if God is defined in such a way that his existence should necessitate certain obvious manifestations in the world, and those manifestations aren't in evidence, then this ought to count as evidence (although not proof, which is usually confined to mathematics) against his existence. Faced with this (lack of) evidence, theists usually redefine God to be something whose manifestation would not be so obvious. Dembski's "hammering" is all towards the idea that you can't rule out "intelligence" as one of the forces that drives evolution. I'd like to offer an additional force that drives evolution: magic pixie dust. By Dembski's own criteria he can't rule it out, even if he's no idea how it actually works. There are certainly gaps in our knowledge of evolution, and especially abiogenesis, but these gaps can be filled by maintaining that the magic pixies use the awesome power of pixie dust to transmute inanimate matter into living, replicating cells. They also, incidentally, help out with those awkward transitions between organisms when random mutation and natural selection don't quite seem up to the job. Next we have cellular engineering, the bacterial flagellum, complexity and the rest of the ID arsenal. But it won't wash. Dembski appears desperate to have ID accepted as science, but he won't do the one thing necessary for that to come about. He philosophizes, picks holes in evolutionary theory, plays word-games, and generally complains that the scientific community won't let him in — all the while refusing to take the entrance exam. All he needs to do is some actual research, and get it published in a respected peer-reviewed scientific journal. We've come to the end of the section entitled The Question of Science, but Dembski — who co-edited this entire book — hasn't given us any actual science. A short rant on "explanatory power"
Retro-future: "How To Make a Spacious Fortune"
Creation — a bad move? It's designed if it looks designed?